I've wrote a few of these now. And, regardless of the content of the preceding year - I always seem to return to the same message. I hope that I don't sound too pretentious with it, because the message is pretty much the same one you've probably heard from every single person you've met over the past few weeks. It's been a big year for me, a happy one - but one of major change. I've now started down a road which I've had my eyes on for a while now, and have finally taken the chance to try to travel. I've gone from a 9 to 5 grind, to being a student again, working for myself and trying to find inspiration. I couldn't have done it without the love and support of those around me, especially my partner, so for that I am truly thankful. So, here it is: whatever this year has been like for you; I hope your Christmas was Merry, and your New Year is happy. 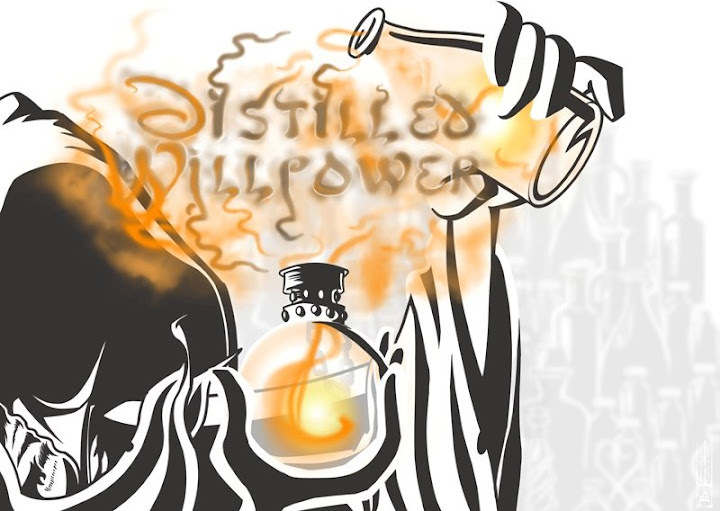 Distilled Willpower is your source for daily gaming updates - whether that be video games OR alternative reality games. I post almost daily with banter, facts, opinions and ramblings which will make your back strong and your chest hairy. Fun Fact: Reading DWP on a daily basis increases red blood cell count. Cornish @ I Move Like a Dwarf!